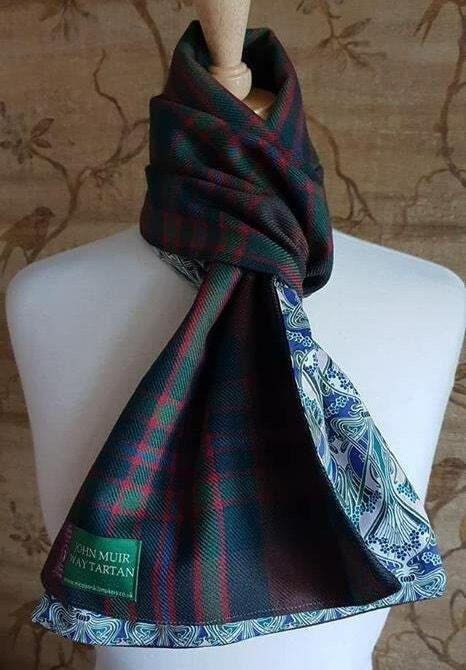 Exclusive John Muir Way tartan scarf, lined with superfine tana Lawn in Liberty Londons iconic "Ianthe" print. 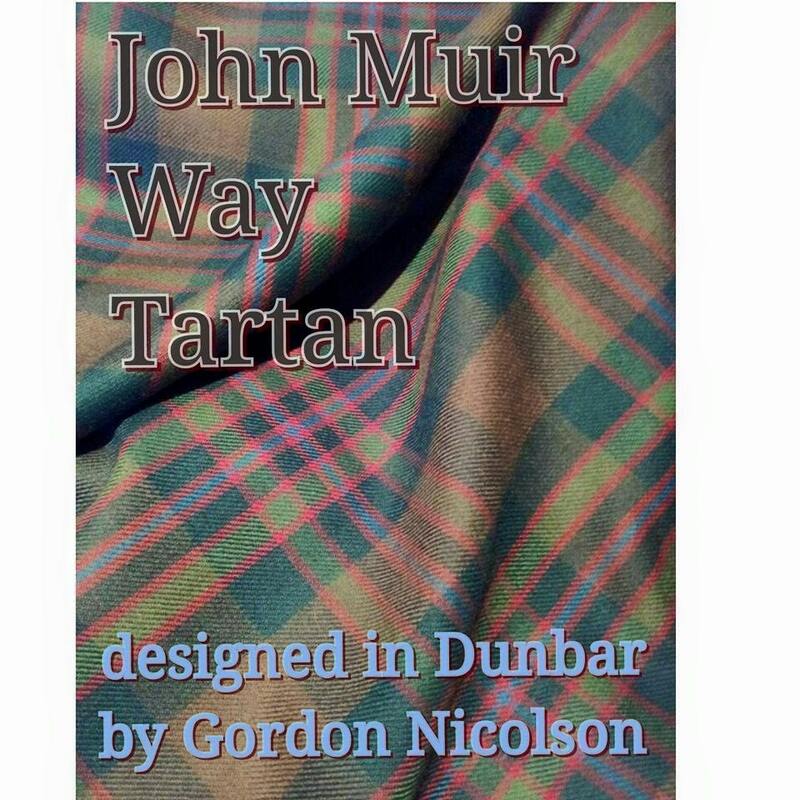 The soft cotton lawn fabric adds a silky touch next to skin, while the muted seascape colours of this stylised design contrast brilliantly with John Muir Way tartan. 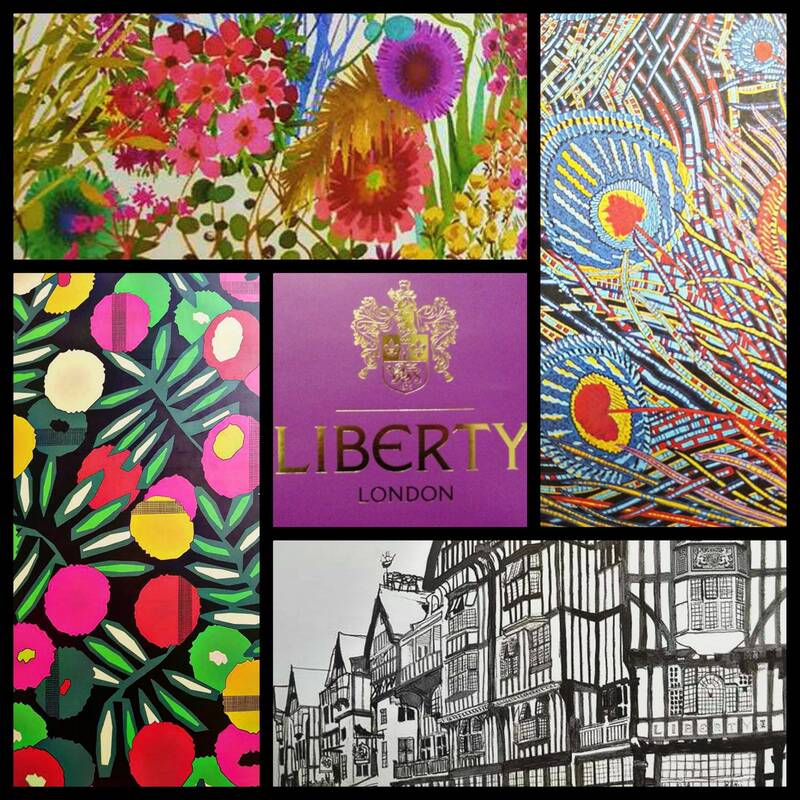 "The concept for Ianthe Liberty Fabrics print was created by well-known French Art Nouveau designer, R. Beauclair, in approximately 1900. 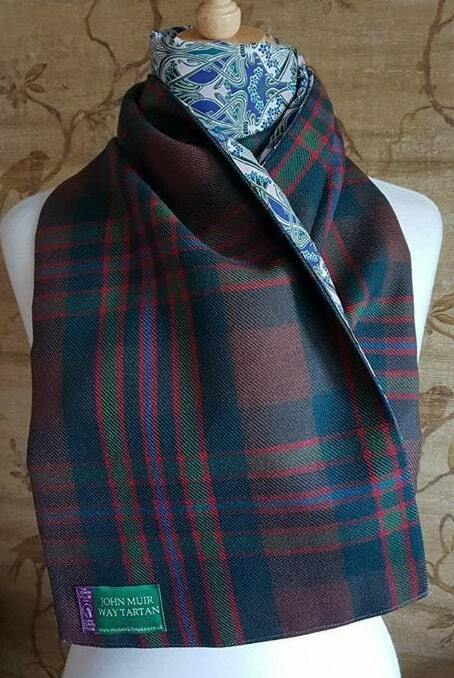 The Ianthe design was redrawn by David Haward's Studio and is a timeless and a true reflection of Liberty’s heritage. 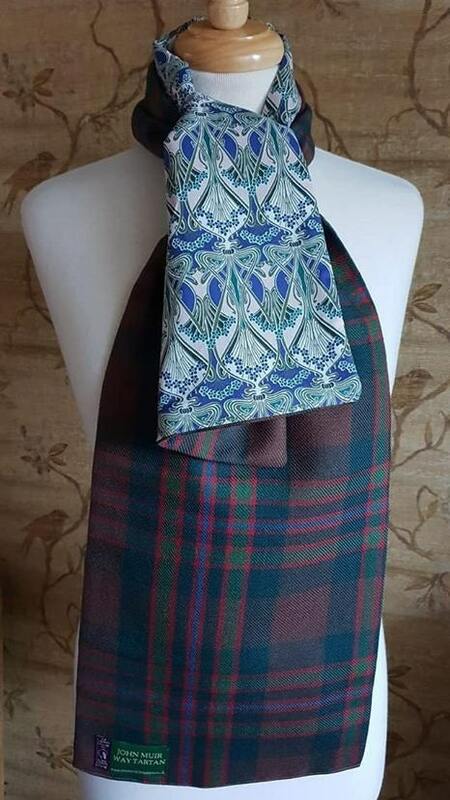 Ianthe is Greek for purple or violet flowers, suggesting that the flowers in the design may have originally been drawn from violets. 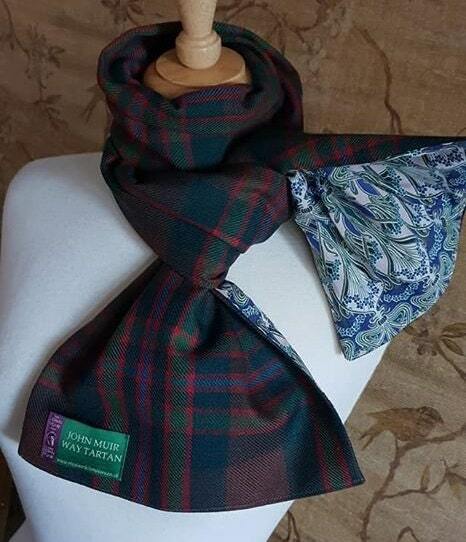 Tana Lawn cotton’s distinctive hand-feel and translucent softness make it a versatile favourite.."
The John Muir Way follows a route from his birthplace, Dunbar on the East Coast of Scotland -along the cliffs and paths of East Lothian where he spent wild formative days as a boy, nurturing his love of the natural world- to Helensburgh on the Scottish West Coast, where the Muir Family departed for America in 1849.